As a way to keep our culinary offerings fresh and exciting, we love to collaborate with talented chefs, influences, and innovators to bring new ideas to the table. Recently, FLIK welcomed Chef Nicholas 'Nico' Abello as a celebrity guest chef in NYC. 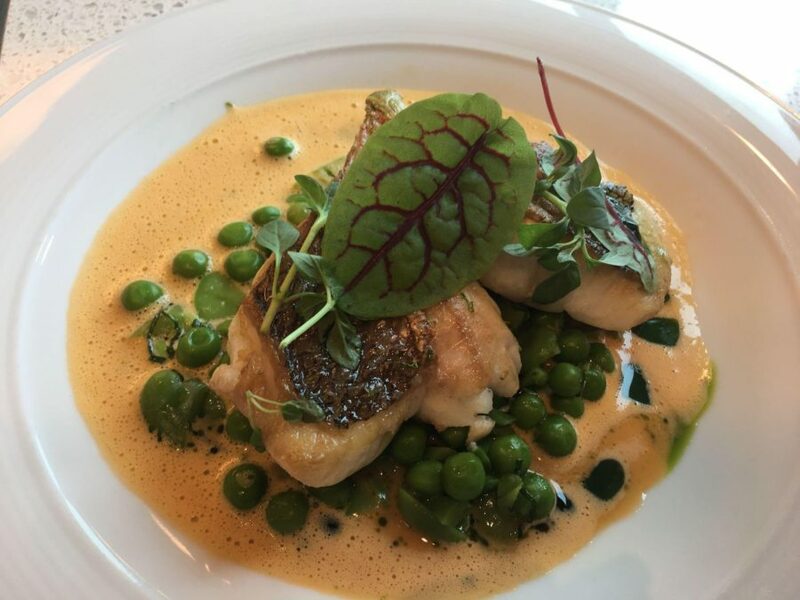 Born and raised in France, Chef Nico brought his fresh, French flavors to the FLIK cafes, serving up a pan-seared red snapper with a fava bean and English pea salad, topped with a homemade lobster bisque and mint oil. As one of NYC's most celebrated new chefs, Chef Nico was only 15 years old when he entered the hospitality industry. His NYC restaurant, L'Appart, opened in 2016 inside lower Manhattan's new French food hall: Le District. Only nine months into opening, L'Appart was honored with a Michelin Star, a culinary badge of honor. As a part of our national network of up-and-coming restaurant chefs, we're so proud to collaborate with culinary leaders like Chef Nico Abello. Read more about our guest chefs, including Chef Michael Toscano and stay tuned for more guest chefs coming to our locations! For more information about FLIK Hospitality Group, our blog, or our guest chef series, please e-mail us at flikblog@compass-usa.com.